← Power from the sun! The one piece of gear that gizmo will not leave home without…his Ruffwear harness. We ordered one the week he came to live with us and he now has 5 of them. He has multiple colors and has one larger one that fits over his winter fleece, also from Ruffwear. A couple of the harnesses are adorned with his hiking patches. This is the best harness we have ever used. 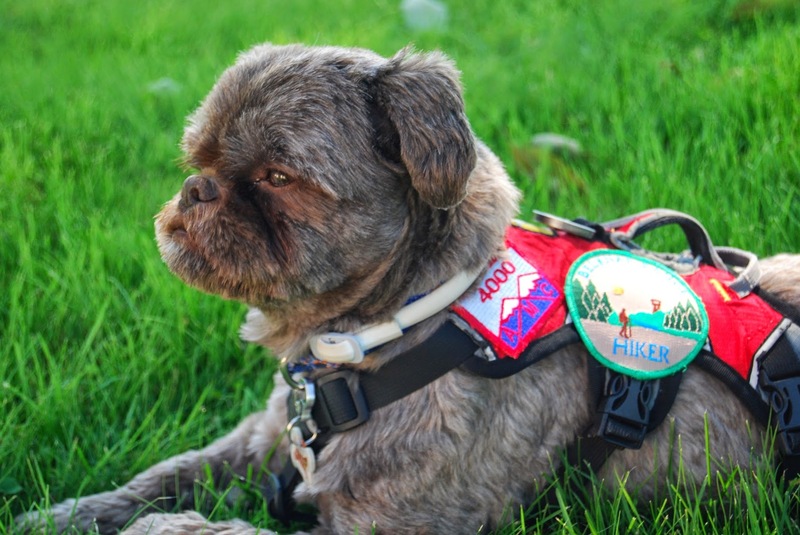 Gizmo has literally hiked over 400 mountains and none of his harnesses have started to show signs of wear. They fit great and are designed with 2 straps that go under him with padding. We can pick him up like a 6-pack if we need to boost him up or down really steep rocks. We use the harness for walks around town too. He is only 16 pounds and we worry about putting any pressure from a collar on his neck. 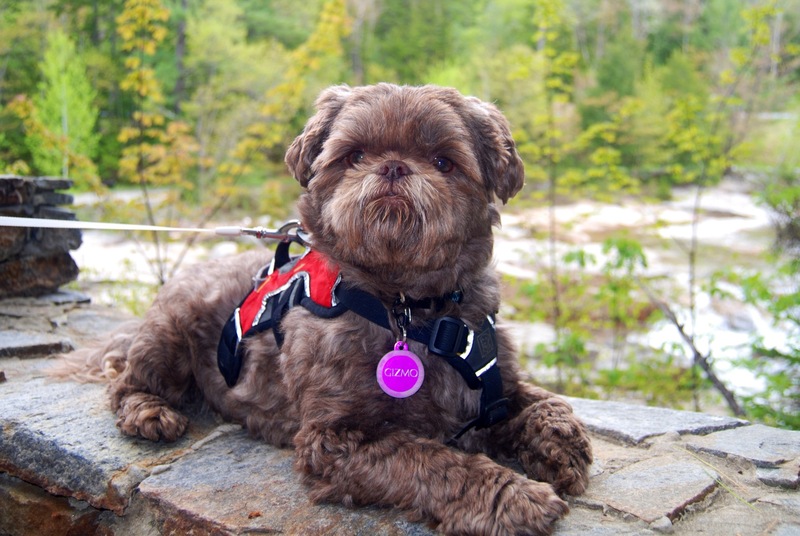 This entry was posted in Gizmo's Gear, Our Gear and tagged dog, gizmo, harness, hiking. Bookmark the permalink.